Bhubaneswar: Emami Ltd, India’s leading FMCG player with an annual turnover of over Rs 2500 Cr anticipates a bullish performance from its portfolio of winter brands viz. -BoroPlus and Vasocare. It expects these brands to push sales during winter growing faster than the market. Leading the pack is the house of BoroPlus brands, a trusted brand with a heritage of 40 years, that has achieved a significant growth over the years aided by successful brand extensions. Endorsed by Bollywood superstars Amitabh Bachchan and Kangana Ranaut, the BoroPlus brand continues to hold a strong 76% market share in the antiseptic cream category and is the #1 antiseptic cream in the world. For BoroPlus, one of the largest skin care brands, Emami Limited will be going national with its new brand extension BoroPlus Perfect Touch. It is a daily use deep moisturizing cream which keeps the skin healthy and soft. Bollywood actress Kangana Ranaut has been roped in as the face to endorse this latest brand extension of BoroPlus. 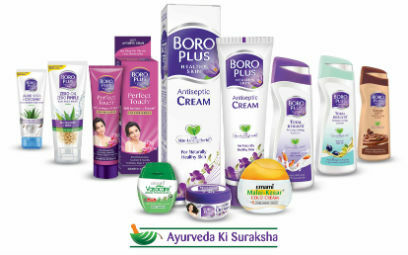 With its non-sticky, non-oily 24 hr moisture formula coupled with the goodness of ayurvedic herbs & antiseptic action, the new BoroPlus Perfect Touch Soft Antiseptic Cream provides a perfect solution for healthy, bright and fresh skin to women compared to the regular moisturizing creams which makes the face look dark and oily. It can be applied to the skin for deep moisturization all day round such as after bath, before stepping out and even before going to sleep at night. It is available nationally in a pack size of 8ml & 20ml at price point Rs 10 & Rs 35, respectively. Emami has aggressive marketing plans focusing both on urban and rural markets to boost up its winter sales of its skincare brands. Coupled with various innovative campaigns, product sampling, consumer outreach programmes and digital initiatives, Emami’s winter skincare brands would be introducing exciting price points, contemporary packaging and amazing combo offers under the BoroPlus and Vasocare brands. While BoroPlus Antiseptic Cream has launched a new contemporary tub pack format of 7 ml nationally in just Rs 10, BoroPlus Total Results Moisturising Lotion (Badam & Milk Cream variant) has also launched a new value pack of 500 ml @ Rs 220. BoroPlus Lotions would be advertised nationally across all mediums and endorsed by Kangana Ranaut & Parineeti Chopra. On the other hand, Vasocare, which marked Emami’s entry in petroleum jelly based products, would be giving an interesting combo offers to drive penetration in newer households. BoroPlus Zero Oil Zero Pimples Face Wash, the pimple solving expert from FMCG major Emami Limited, now goes national after its successful test launch in Madhya Pradesh last year. Fresh Bollywood face Kriti Sanon has been roped in as the brand ambassador. It is available in pack sizes of 15ml +3ml (extra) ,50ml + 10 ml(extra) and 80ml + 20 ml(extra) priced at Rs 15, Rs 55 and Rs 85, respectively, with a consumer offer of 20% extra on 15ml and 50ml and 25% extra on 80 ml.